We are house sitting for two guys, Robert and Aidan who are originally from Brisbane and have a cat named Nathaniel. 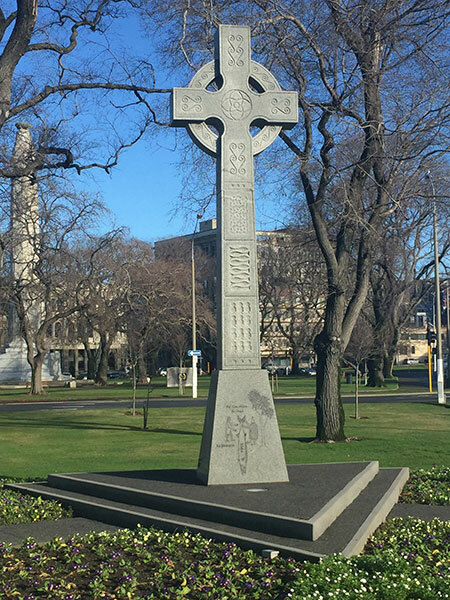 The guys moved here so that Aidan could continue his study at the Otago University. The guys got married here earlier this year and are off on their honeymoon to Europe, hence the need for a house sitter to look after their home and cat. 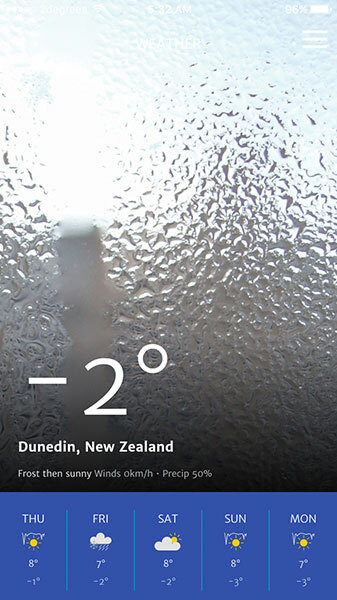 Dunedin has turned out to be the surprise of our time here so far. We had only spent a day or overnight here on our visits in previous years so not that much time to appreciate what this city has to offer. It is a cross between Melbourne, Hobart and San Francisco. Melbourne because of the cafe culture, Hobart because of how it is situated around a bay and coastline and San Francisco because it is built on such hilly terrain. The hills even have hills on them! Being a university town there are a lot of young students living here from all parts of the world. In fact our dentist from Sydney who is Korean went to the Otago University here in Dunedin. The weather is much fresher here than in Christchurch. 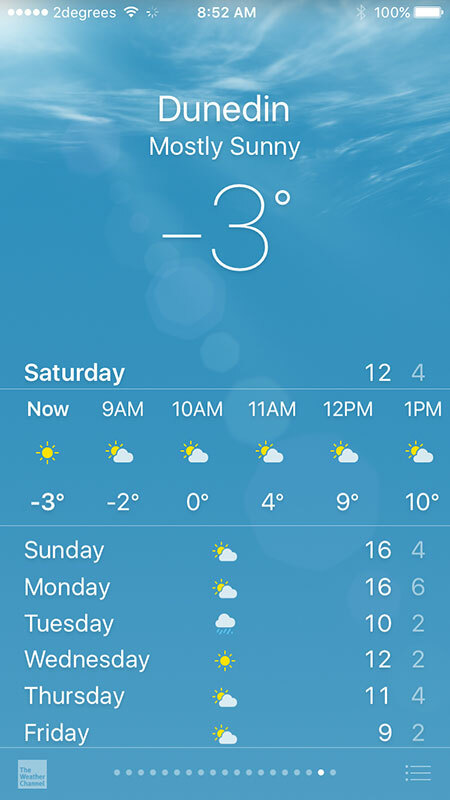 Waking up to minus degrees in the morning is not uncommon and the pavements are often covered in black ice so navigating the steep hills can be a bit tricky early in the morning. 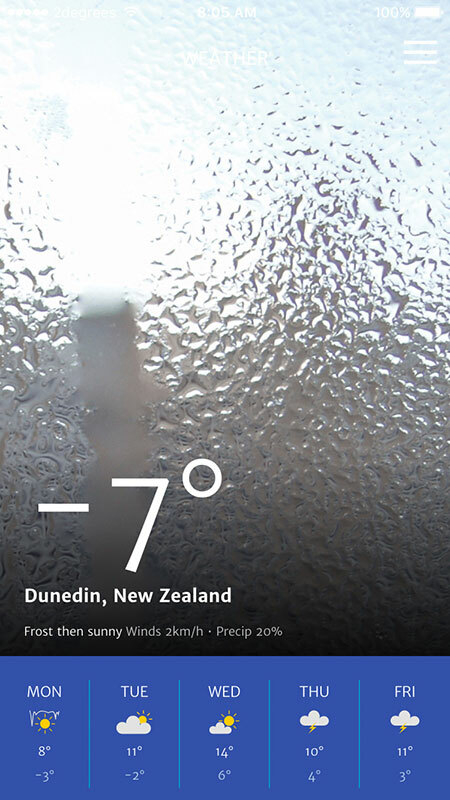 One morning at the Dunedin Airport the temperature was -10 degrees. 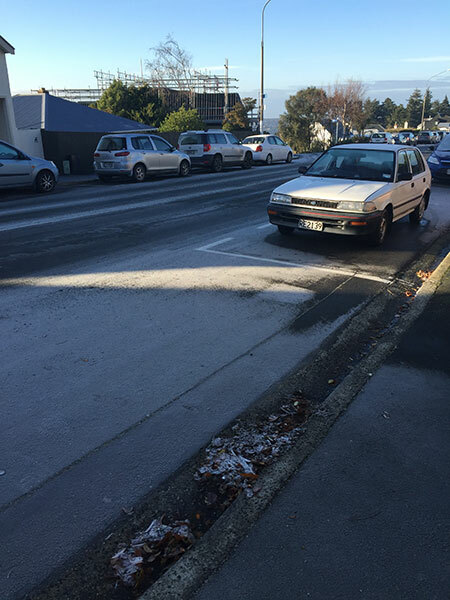 It is not uncommon for Dunedin to have a few snow falls during Winter. But in general during our time here the weather whilst cold has been bright blue sky sunny days. 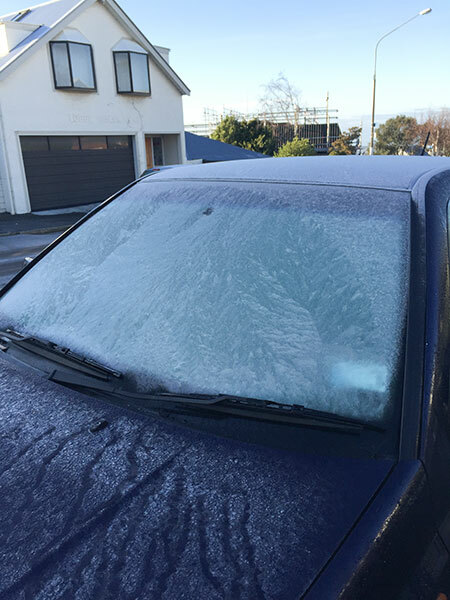 An ice scrapper is definitely an essential item here if you want to be able to see out of your car windscreen in the mornings. I have never seen ice so thick on a windscreen in the mornings. It can be very tricky driving as well with the ice so the roads are often covered with grit so that the cars get more traction especially on the hills. We don’t have a car available to us with this house sit but because we are within walking distance to the centre of town we don’t really need one. 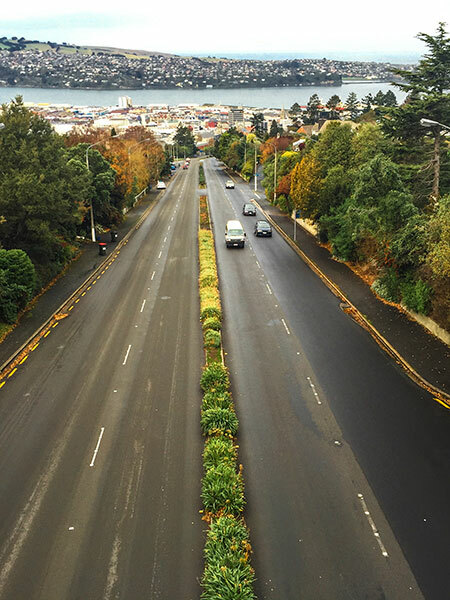 The suburb we are house sitting in is called Roslyn, just North of the city high up on a hill that overlooks the bay. 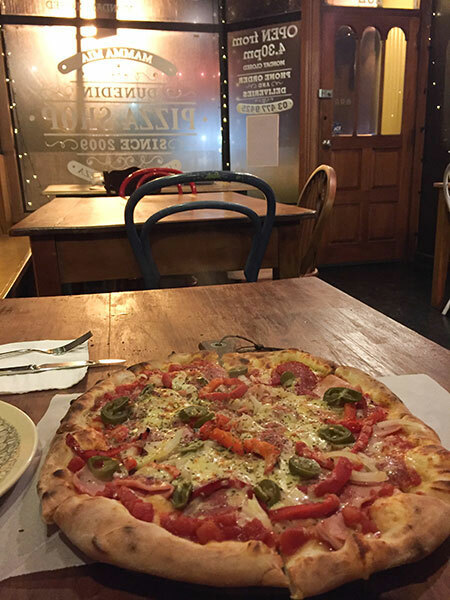 We have a supermarket just across the road and a small group of cafes and restaurants just 50 metres away. 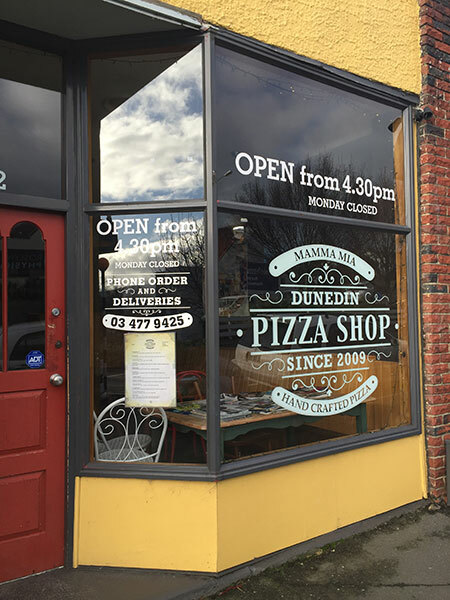 One place I would definitely recommend is “Mamma Mia Pizza Shop” – without doubt the best pizza I have ever had anywhere in our travels around the world. 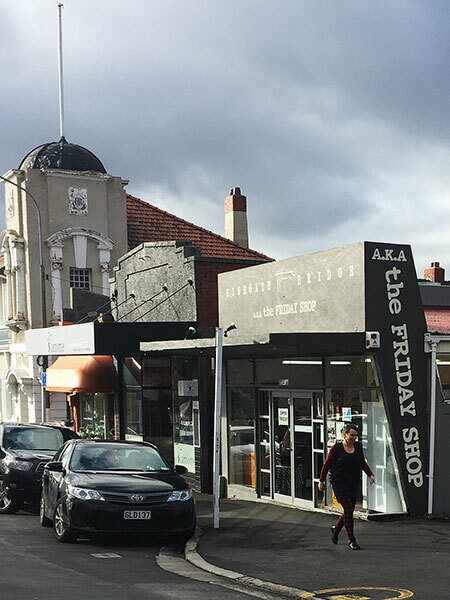 Another favourite place to visit each week was the “The Friday Shop“. And as the same suggests, is only open on Fridays. It is a bakery that has all kinds of pastries, pies, breads and desserts. It’s all take away, cash only and is open from 6.30am until 11am. People are queued up here from the minute it opens and by 11am there is absolutely nothing left to buy in the shop – what a great business model. 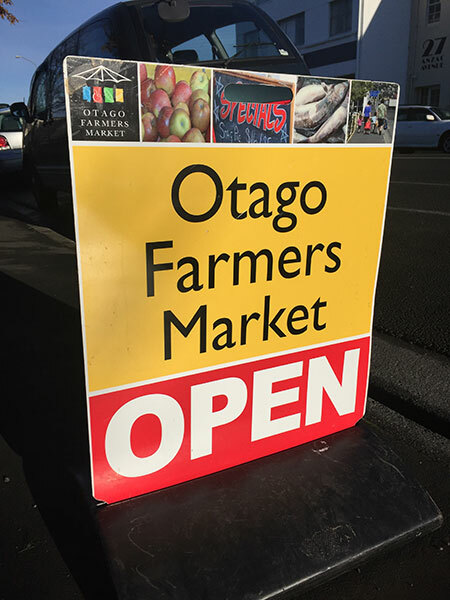 Another favourite place we would visit on the weekends was the Otago Farmers Market which is situated next to the beautiful historic Dunedin Railway Station.They have a wide variety of fresh fruit and veggie stalls plus a range of food outlets. 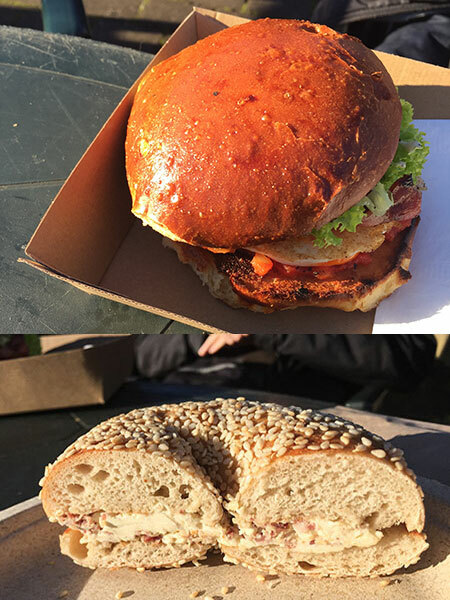 Andrew was always keen to get a breakfast burger and I’d head to the bagel stand for my cream and blue cheese with salami bagel. YUM! 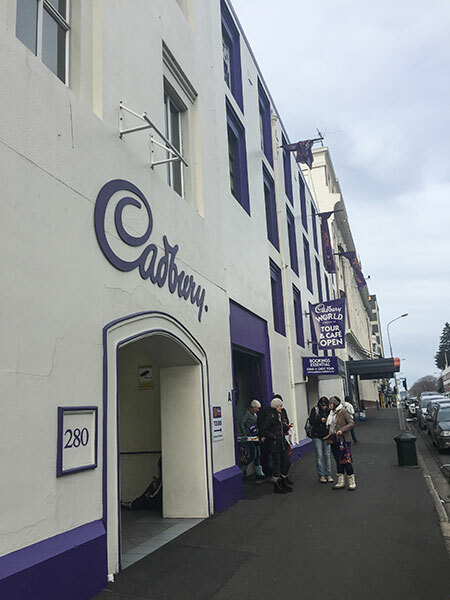 Just near the markets is the Dunedin Cadbury Factory. Whilst we didn’t do the tour you can book in for a tour that shows the whole chocolate process from plant to the factory. You do not actually go into the factory hence that’s why we didn’t think it worth the $22 per person entry fee. 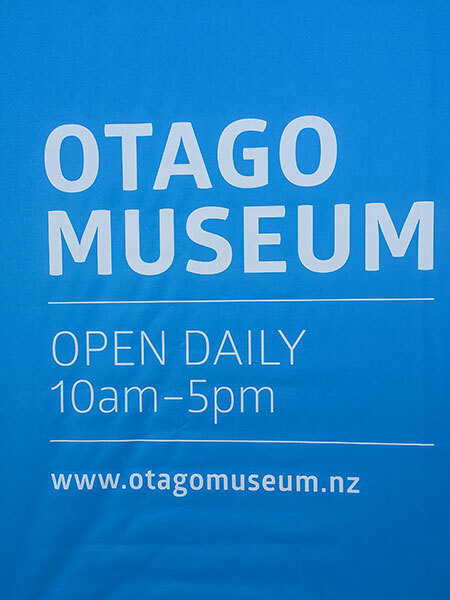 The Otago Museum is definitely worth a visit if you are in Dunedin. For a regional museum it has quite a collection, including an Egyptian section complete with a mummy! Something I would not have expected to see in Dunedin. 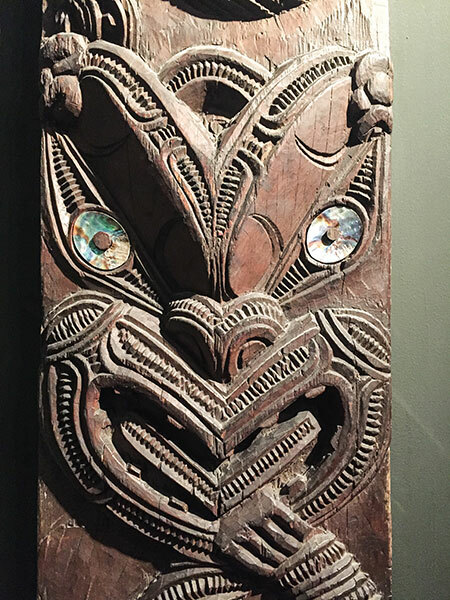 There is also a very extensive Maori cultural section that covers early Maori life in the Otago area. 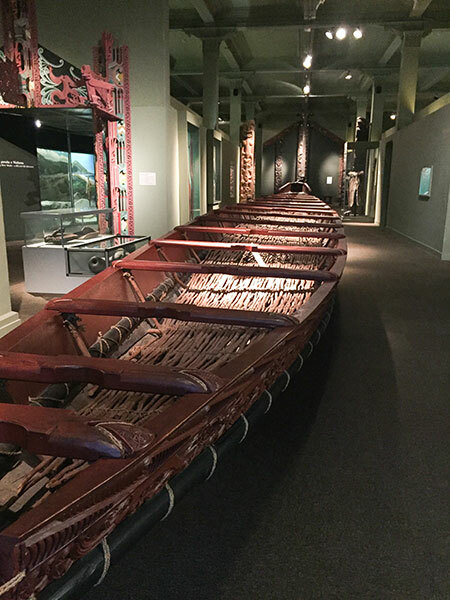 Another museum worth visiting is the Tiotu Otago Settlers Museum which is dedicated to telling the story of the early settlers that came from places as far away as Scotland and the UK. Great post guys. 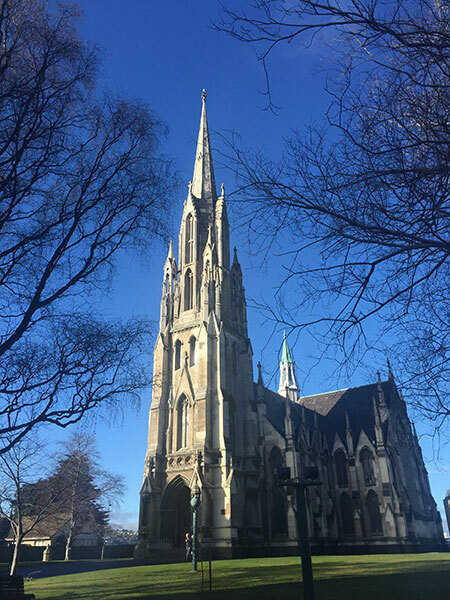 We spent 2 weeks house sitting in Dunedin this time last year and like you, we really enjoyed the opportunity explore and connect with the local community. We stayed in a home on the hill above St Clare beach and spent time checking out Roslyn, but didn’t go on a Friday so no chance to check out the Friday shop. You were sitting 2 door from our home. We should have met and compared notes on house sitting. We have been doing it for the last 5 years. Great reviews of Dunedin. Thank you. Enjoy your travels. Thanks Jay. If only we’d known would have loved to have caught up. 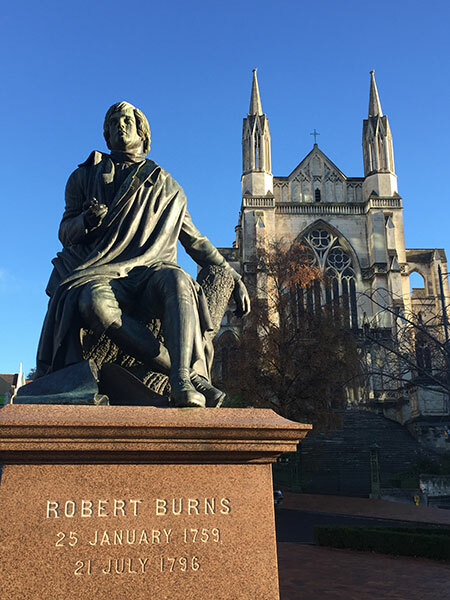 Dunedin is a great city & hope to go back one day soon & hope we can catch up somewhere in the world.